In collaboration with our partner, the British Council, we’re excited to announce the inaugural group of selected projects for the Cultural Heritage Fund - a new facility looking to support the seeding of dynamic creative industry projects, which pioneer new ways of creating inclusive and sustainable growth through the sharing and preservation of Kenya’s cultural heritage. Paukwa House is a storytelling firm created to infuse Kenyan national narratives with positive fact-based stories. 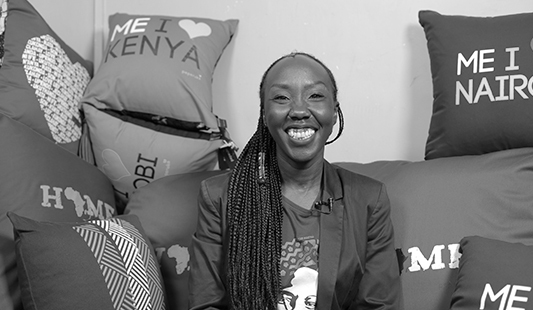 Through storytelling, they aim to show a side of Kenya that Kenyans can be proud of. Their upcoming campaigns, themed around early childhood learning and Kenyan historical figures, demonstrate a strong cultural heritage link. HEVA’s investment will go towards the production of their upcoming content campaigns, as well as to business development in order to increase their potential for revenue. Sitawa Namwalie is a renowned poet who writes, produces and stages powerful plays which tell Kenyan stories in modern, provocative and entertaining ways. 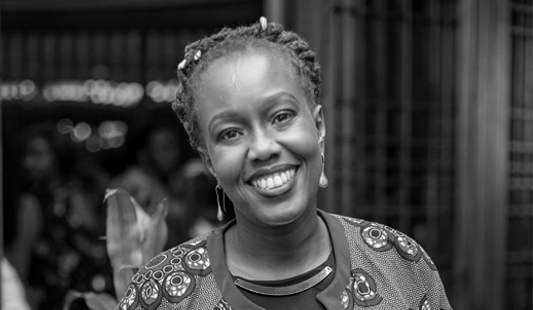 Her plays are grounded in and inspired by elements of Kenyan legends and folklore. She has also built a loyal audience via her regular staging of high quality productions. HEVA’s investment will go towards the development, production and staging of her upcoming series of plays with Pweza Collective. Story Zetu is a collective of Kenyan creatives who tell Kenyan stories through art and film. They started off as a blog that gave a nurturing space for young writers, quickly expanding into theatrical productions. They are best known for their exciting and dynamic “Too Early for Birds” series of plays. The Story Zetu team has been able to consistently draw large audiences, hence displaying high revenue potential. HEVA’s investment will go towards content production and business development. The Permanent Presidential Music Commission is one of the only government institutions of its kind globally, with a mandate to ensure the development and preservation of music and dance in Kenya. Their focus areas are music education, research and performance, and the preservation and conservation of the music and heritage of Kenya. HEVA’s investment will go towards the urgent digitization of their analogue musical archives (containing numerous traditional dances, songs and plays) which are at risk of damage. This initial support will preserve these files, as well as make this valuable resource sustainably available to the people of Kenya. Harriet Ng’ok is an herbalist who is developing health and wellness products using botanicals sourced from the Southern Rift Valley, with a view to bringing them to a growing local and international market. She also has a passionate educational perspective: documenting medicinal plants, teaching on herbal practices, and sharing her research. HEVA’s investment will go towards Harriet’s cataloguing and processing of medicinal plants and herbs, acquiring relevant institutional certification, and business development. She will also be able to generate and share knowledge on the cultural significance and use of herbal medicine. WIBO Culture Artcellerator is a community-based organization that accelerates the socio-economic potential of cultural and creative products. They formed Bengatronics Sound & System LLP, a startup creating innovative products from the wealth of the benga music ecosystem in Kenya. HEVA’s investment will go towards the refurbishment and upgrade of their recording studio, as well as the support of their upcoming recording projects. Otieno Wakake is an accomplished performer and artist who moved to Kilifi in 2016 to identify and work with expert practitioners in traditional music and culture. He then began to use his own networks to bring them to quality local and international platforms, thus boosting their revenue earning potentials. HEVA’s investment will go towards the establishment of a music recording studio and support for music production, as well as to performances with his community of Giriama traditional musicians. Melissa Allela’s research on storytelling through experimental animation explores the use of emerging technologies to digitally mediate works of African oral literature (“orature”). 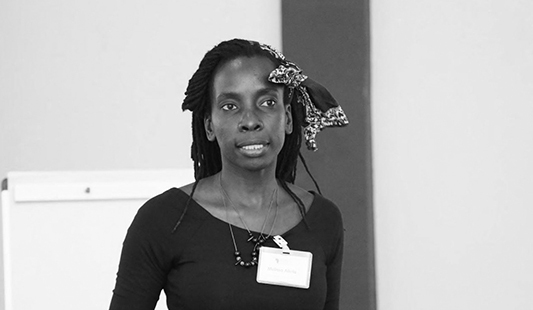 HEVA’s investment will go towards her research and documentation to incorporate African body forms, expressions, gestures and language into high quality augmented reality work, for home grown storytelling. Peperuka is a lifestyle brand that connects Africans to their cultures through unique products. These utilise powerful iconography, and language that offers people a way to express their individual, local, national and African identities. Peperuka design varied merchandise around legends, historical figures, colloquial speech and pan-African icons. We have worked with Peperuka before, and very much enjoyed their excitement about their business growth and their continually enchanted clientele. We are excited to invest in Peperuka’s upcoming product development journey, as well as continuing business development. We are grateful for the opportunity to successfully roll out this pilot facility in Kenya, support a dynamic cohort of projects in good time, and begin results delivery through this new methodology of inclusive growth. This new thinking prioritises economic growth and social welfare and is being rolled out alongside our peers in Colombia and Vietnam. We congratulate our Cultural Heritage Fund finalists, and are looking forward to opening the second round of applications in September 2019. We will also soon share upcoming news about our Young Women in Creative Industries Fund, and our Growth Fund!